David Cronenberg: It was not really an issue at all, in terms of casting. 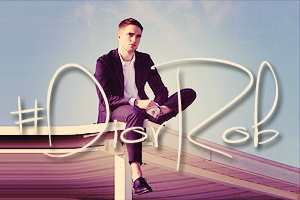 On the other hand, what was interesting was while we were shooting the movie, all these "Cosmopolis" websites popped up that were created by "Twilight" fans and Rob fans, and they were reading the book and exchanging notes about the book and how it might work in the movie. Really, I wasn't thinking that this was necessarily going to be an audience for this movie, but then I started to think, "Well, some of them, it definitely is going to be." And that was exciting 'cause these are young girls who maybe had read "Twilight" and "Harry Potter," and suddenly they're reading Don DeLillo. That's pretty good. I don't really have an audience in mind when I'm making a movie ... I'm making it for me and all of us who are excited about the script. I'm making it for an audience, but that's kind of an unknown and amorphous audience, so anybody who's part of that audience is okay with us, let's put it that way. 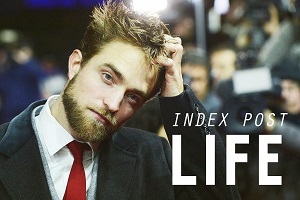 Robert Pattinson: It's like I feel a responsibility to myself. If you're doing stuff just purely for money, you're probably disrespecting your audience as well. It's not good for anyone. It's not even really good for you. The only thing I really know is what I think I would find interesting to watch and if I try and make that, I feel like I learn a lot out of doing it and watching it. And so , I don't know, I think I fulfilled my responsibility. Before making "Cosmopolis," did you consider the effect your involvement might have on skewing its audience? RP: No, I basically was consumed with terror about me being bad in it. I mean, that's what I was thinking right up until Cannes. The night before the premiere at Cannes, David was like, "Oh, yeah. I'm fully expecting walk-outs." I knew I already liked the movie a lot, but I was still terrified then, mainly because I'm, like, going to have to have a fight with 3,000 people, if they started booing or something [laughs]. RP: I think the walk-out thing actually is just the culture of filmmaking, I mean, it's become a consumer thing. People think they're being insulted when there's a challenging movie. It's so weird. People sit in a movie which they know is s**t and know they're gonna talk to all their friends and say it's s**t, but to sit there and watch a piece of s**t [laughs]. They'll watch one which they know is kind of good and don't really get it and have to walk out and be so offended. I don't think I've ever walked out of a movie in my life. And people will be so offended by it, they can't take it anymore. DC: I think the walk-outs, I only know about from some of the Twi-Hard websites, because the girls are saying, "I was so shocked these people walked out of the movie." They walk out because it's too much talk. They can't absorb it, and [don't] let it wash over them and just not worry about that, which is really the way you handle that. Everything that's said in the movie actually makes sense and is pretty intelligent, of course, from DeLillo, but there's no way you can absorb it all. It comes at you so fast and so articulate, you know. DC: Yeah, you should just let it wash over you, and naturally it'll soak in or it won't. It's not gonna hurt you, but they can't take it. I don't think it has anything to do with the character that Rob plays, because, I mean, Hannibal Lecter's pretty chilling and nobody walked out of that. Though [Rob's character] Eric is ... cuter. David, you've done drama and horror. Some fairly formidable directors have branched out into superhero movies pretty beautifully —is that something you would consider doing? DC: I don't think they are making them an elevated art form. I think it's still Batman running around in a stupid cape. I just don't think it's elevated. Christopher Nolan's best movie is "Memento," and that is an interesting movie. I don't think his Batman movies are half as interesting though they're 20 million times the expense. What he is doing is some very interesting technical stuff, which, you know, he's shooting IMAX and in 3-D. That's really tricky and difficult to do. I read about it in "American Cinematography Magazine," and technically, that's all very interesting. The movie, to me, they're mostly boring. DC: Absolutely. Anybody who works in the studio system has got 20 studio people sitting on his head at every moment, and they have no respect, and there's no…it doesn't matter how successful you've been. And obviously Nolan has been very successful. He's got a lot of power, relatively speaking. But he doesn't really have power. DC: I would say that's a no, you know. And the problem is you gotta… as I say, you can do some interesting, maybe unexpected things. And certainly, I've made the horror films and people say, "Can you make a horror film also an art film?" And I would say, "Yeah, I think you can." But a superhero movie, by definition, you know, it's comic book. It's for kids. It's adolescent in its core. That has always been its appeal, and I think people who are saying, you know, "Dark Knight Rises" is, you know, supreme cinema art," I don't think they know what the f**k they're talking about. Having determined that they're utterly pedestrian, is that something you would ever do, Robert? RP: Actors always think they can elevate anything. The worse the script is, the more an actor is like… I mean, it's funny, you read the worst script ever, and you'll talk to everyone, and go… I always talk to my agents and I got sent this thing the other day, and they're like, "Oh my God, this is the worst thing ever." But really, like, it was basically only one character, you're like, "I don't know. I think I could do something with this." I'd never get offered [a superhero role]. I'm not buff enough [laughs]. 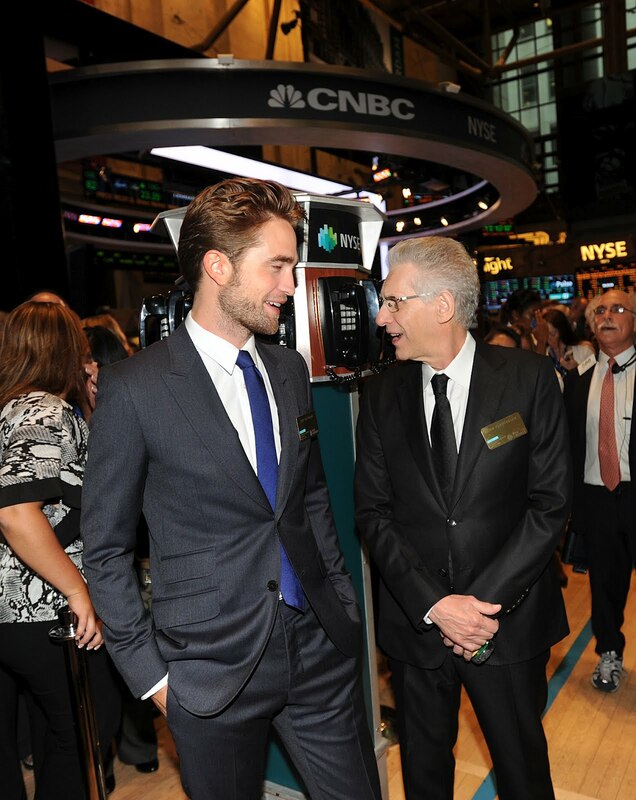 DC: Rob, it's okay. They put you in a funny suit. You don't have to be buff. And it gives me chills. It's idealistic and unrealistic for real life, I know that. No human can do this, and who knows if anyone wants to give up their life to "save" others (maybe I've just become too cynical already lol). But in superhero movies this is a reality. Someone is going to try and show humans what humanity looks like .They're going to sacrifice themselves on behalf of the whole world. And maybe in doing so they can unite people and teach the human race to be more loving, more human. I know that probably sounds cheesy, but I'm an incredibly emotional/sappy/sentimental, whatever, person XD. Anyway great interview thanks for posting.